Someone’s probably told you before about how massive virtual reality could be. And, you’ve also probably tucked those speeches somewhere alongside the people who claim the end of the world is coming… since neither of them has held true, thus far. But, that all might be changing. Well, the VR thing. Not the end of the world. I realize I sound like every other VR “prophesizer” when I say that “this” is the one. But, after spending a considerable amount of time in the VR space back in 2014-2016 and not seeing much happen since then, Facebook’s launch of their second VR headset, the Oculus Go, is something to finally get me amped about VR again. So, what makes the Oculus Go so different? In short, new and exciting ownership possibilities in the digital world. They are expanding on what the iPhone did so well back in 2008 – recreating physical tools in a digital way. Before iPhones, my family shared one digital camera, one Xbox, one sound system. 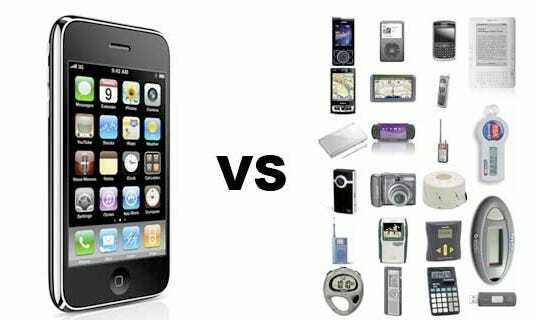 For a few hundred dollars each, the iPhone gave us all a powerful digital camera, gaming system, and mp3 player. Alongside dozens of other devices that the iPhone made obsolete. The Oculus Go is poised to have a similar effect. For instance, Netflix launched an exclusive experience with Oculus Go where you can enjoy streaming Netflix on a 100-inch TV screen in a mountain chalet-type living room. I can invite other Oculus Go users over to my virtual crib to enjoy an episode of Stranger Things. And I’d imagine that it’s in their plans to one day allow users to customize these virtual living rooms to their liking. I for one can’t wait to make my virtual bat cave. Compare this to a similar experience in the real world and you’re looking at a thousand-dollar weekend getaway. And that’s only thanks to Airbnb. Owning that place would be over a million dollars. All of which comes with my Oculus Go. What’s important to note, is that the first iPhone didn’t have a robust App Store. We had to use a web browser to access Facebook. But, the massive growth of users spurred all the developers to migrate over to Apple’s ecosystem and begin making apps there. At a $200 price point, the Oculus Go has a chance to attract massive user base like the iPhone did. Today, there might be Netflix and a few other media experiences to engage users. But, the developers are simultaneously building the virtual worlds of tomorrow. Previously, a lot of VR initiatives focused on creating intense gaming experiences. But, if we learned anything from the movie Ready, Player One, perhaps the best thing that VR can offer us is an outlet to escape reality. A place where we can not only create a new persona but also embody it. And if there is any single company that has proven their abilities in that area, well, it’s Facebook. We’re talking about a company whose average user spends 50 minutes on their platform per day. Facebook understands on a molecular level how to create mental addiction in their users. Seriously, they own people’s attention for 5-15% of their waking hours. And Oculus Go is a chance for them to get even more of it. But, it’s not going to be that easy. The Oculus Go doesn’t only compare to the revolutionary nature of the iPhone. It’s also in direct competition with them. Well, all smartphones for that matter. Let me explain. Yesterday, I was in my Oculus Go for two straight hours. And interestingly, it was the only two hours of my day that I was away from my phone. Completely unplugged. Not just because watching Netflix in my Swiss-chalet was so nice, but also because physically removing my headset every time my phone vibrated was a nuisance. These two devices aren’t compatible at the moment. You’re either immersed in VR without your phone or you’re not. Plain and simple. In all honesty, I’m completely fine with that too. Phone distractions would only take away from the experience. Regardless, smartphones aren’t going anywhere. However, let’s not forget that Facebook has already succeeded in capturing the attention of over 2 billion people monthly. Undoubtedly, there’s a stronger stigma surrounding virtual reality today than there was a stigma surrounding smartphones a decade ago. But, perhaps VR’s stigma of cutting people off from the real world will turn out to be its biggest asset. Escaping from problems is looked at as a horrible way to deal with issues. But, I believe it’s a necessary first step. In times of conflict or great stress, we are far too emotionally attached to come to a solution or formulate an effective strategy. That’s why you must first step back from the situation and release the personal ties you have with the problem. For a simple work dispute, this might mean going for a walk or having a calming cup of tea. For a more complex relationship issue or personal problem, this might mean taking a weekend getaway. Different situations call for a different degree of emotional release. And I believe that VR may actually be a feasible option to this emotional release since it’s immediate and frictionless. I might get into an argument with Ryan or a roommate and find it hard to get my needed space. VR could transport me immediately to an island getaway, where I can dive into the ocean, decompress, and collect my thoughts. I don’t believe VR provides the full solution to our problems, just like driving away from your problems can’t. But, it’s an inexpensive alternative to the first step of dealing with issues, which is decompressing emotionally. Watch out! This VR experience may put your mind in the right place, but the rest of your body is definitely not there, along with some of your other senses. Your body has what took 3 or so billion years to evolve. Now you are going to add a completely different environment with contradicting experiences for your mind or body or both. I suggest the makers of these VR experiences add the physical experience as well, otherwise you will want to respond one way with your mind and find the muscles of your body want to do something else. The final result will be no response from either. Let’s see how long it takes to negate the autonomous reflexes our nervous system provides when we touch a hot object (in the VR or not).